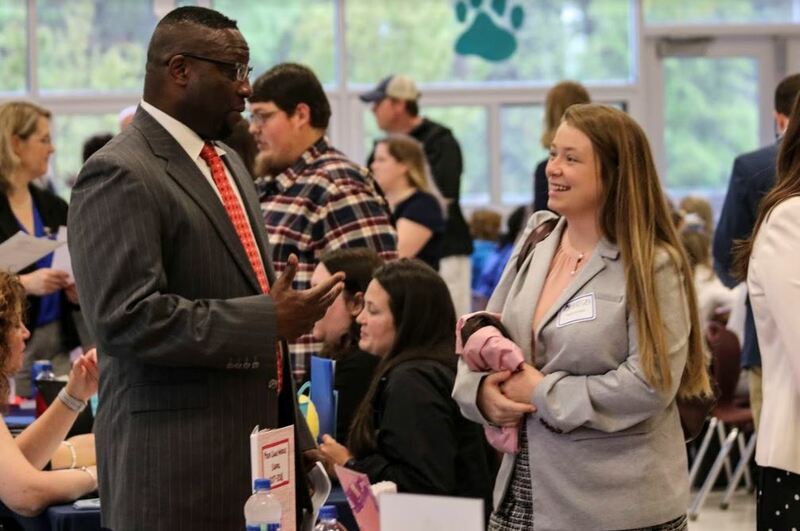 Four Oaks Middle Principal Tol Avery (left) talks with candidate Kayla Strickland (right) at the JCPS Job Fair on April 13 at West Johnston High. 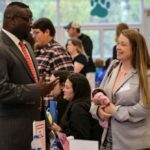 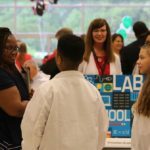 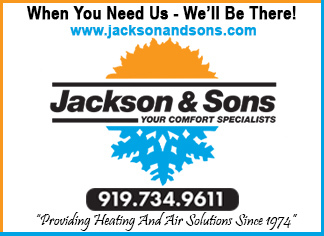 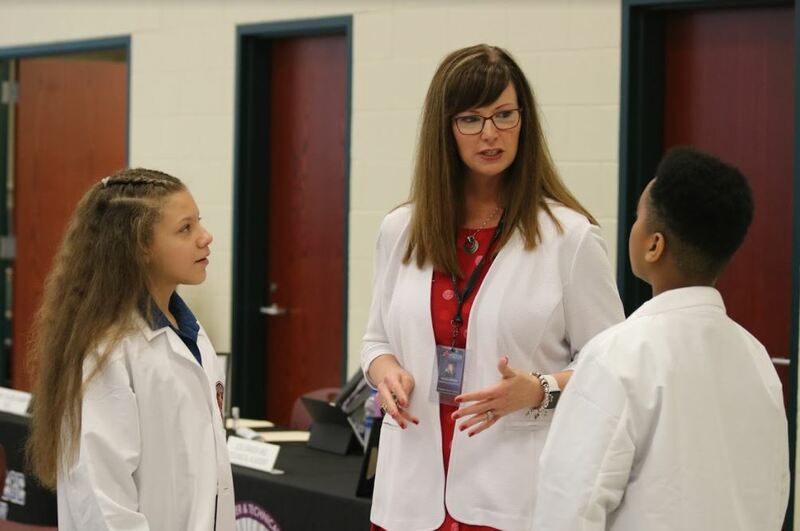 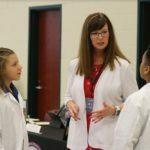 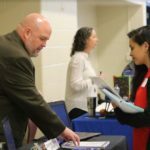 BENSON – Hundreds of candidates attended the Johnston County Public Schools Job Fair on Saturday, April 13, at West Johnston High School near Benson. 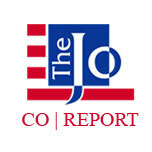 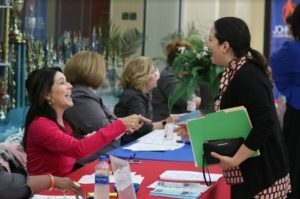 Chief of Human Capital Brian Vetrano said 365 candidates from eight different states pre-registered for the event, including some from as far away as California. 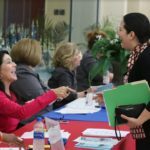 The job fair was a public event and open for potential candidates on a walk-in basis. Johnston County Public Schools employee Carolyn Rotondaro (left) helps to check in Tiliza Cardenas (right) at the JCPS Job Fair on April 13. Innovation Academy at South Campus Principal Kelley Johnson (center) talks with her students Jurnee Warren (left) and Travis Young (right) at the JCPS Job Fair. 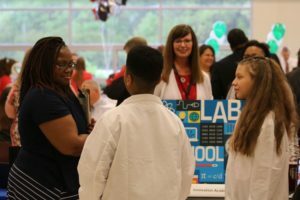 Innovation Academy at South Campus students Travis Young (center) and Jurnee Warren (right) talk with Felicia Barrow (left) about what their school has to offer. 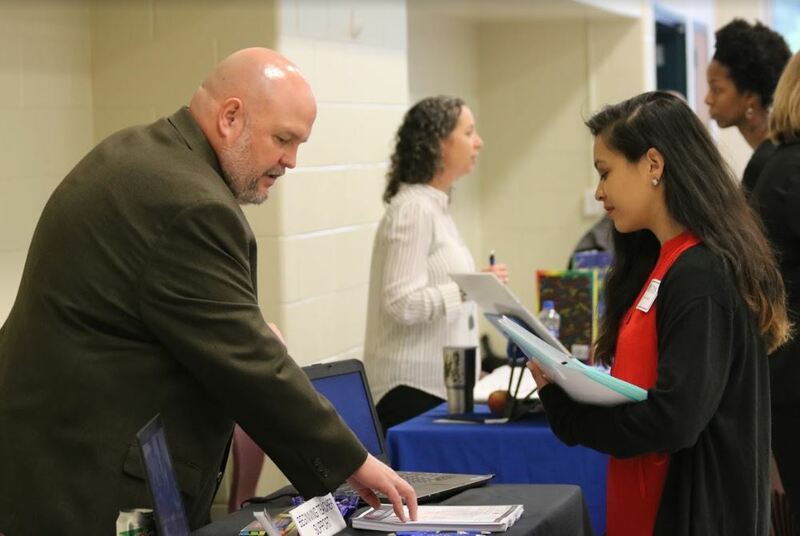 Johnston County Public Schools Executive Director of Beginning Educator Support Dr. Todd Holmes (left) talks with Stephanie Lino-Perez (right) about the resources that are available for new teachers in the district. 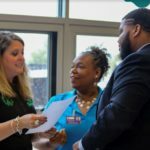 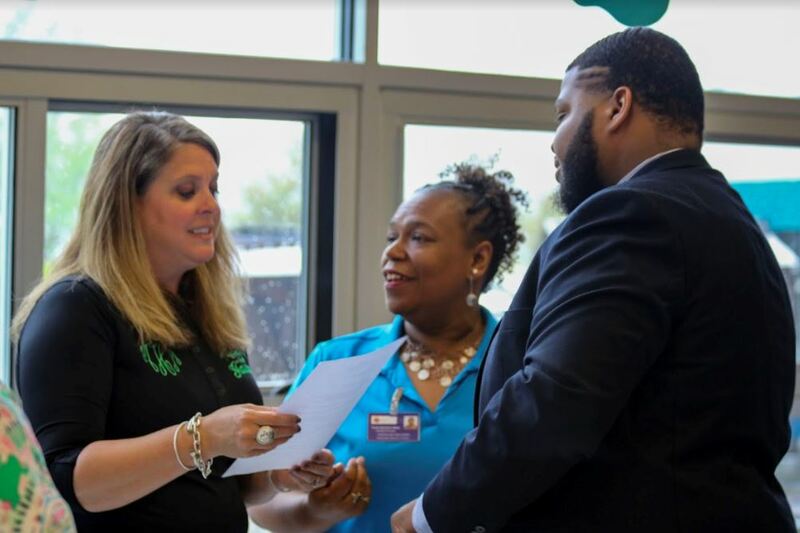 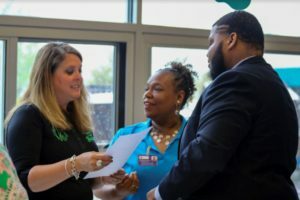 Archer Lodge Middle School Principal Melissa Hubbard (left) and River Dell Elementary Assistant Principal Tandra Batchelor-Mapp (center) talk with Reginald Scott (right), a candidate who attended the job fair.